One render not enough for you? MySmartPrice and @OnLeaks have created detailed 3D models of the Galaxy A5 (2018) and Galaxy A7 (2018). Feast your eyes on the 5.5” and 6” bezel-less displays. Both will have 1,080 x 2,160px resolution (aka FHD+). Check out the table below. Both phones have gotten a tad taller but narrower. The same goes for the screens – they are a fraction narrower, but offer more room vertically. Interestingly, the renders show dual selfie cameras – this would be Samsung’s first. Samsung clearly doesn’t want a dual camera on the back as the Galaxy S flagships need to get there first. But this will allow the 2018 Galaxy A phones to compete with some selfie-focused handsets coming out of China to target the premium mid-range market. 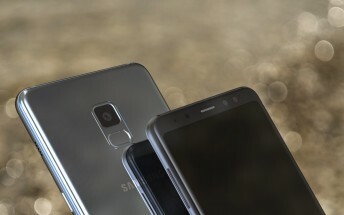 The Galaxy A5 (2018) and A7 (2018) will be powered by the 10nm Exynos 7885 chipset with Snapdragon 660 taking over in some markets. The phones will be IP68 waterproof like before and will have Always On Display feature on their Infinity Displays.